"Hand picked with the freshest ingredits and made in the USA." Hongar Farms Gourmet Products has a foundation in food of over 450 years in Salzburg Austria. The original farm, nestled in the Alps, East of the city of Salzburg, originally catered to the regional Royalty, wealthy traders and land owners. Although Hongar Farms dates back many centuries, most of the oil and vinegar recipes only date back to the early 20th, and late 19th centuries. All our products are 100% Natural, with No Artificial Flavors or Coloring, No Preservatives,  No Sodium, and have No Cholesterol. Our herb flavors are naturally infused through our time-proven process. We continuously update our recipes to remain consistent with the sophisticated taste of today's gourmet food consumer. We have been proudly manufacturing our quality products in the United States for over ten years, primarily on the East coast. Our new modern headquarters and bottling facility is located in Tucker Georgia, in the shadow of Stone Mountain. All products have been tested by the University of Georgia Food Products Division, and have met or exceeded all FDA requirements. 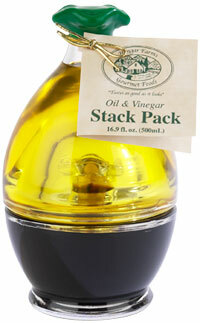 All of our oils are well below the FDA mandated 5.0 pH level, yielding a longer shelf life. Please try our products at your convenience and you too will come to realize the superior flavor that a natural product yields.